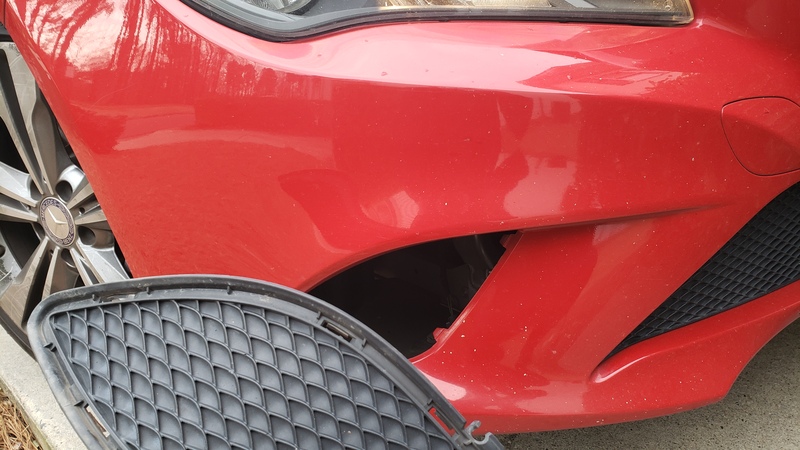 Thread: Plastic part from bumper came off, what do I do?? Hi guys, I got a picture of the part. Nothing is broken, its like a clip-on but I cant seem to be able to do it myself. Any ideas? It has to be clipped-on from the inside apparently. If all the tabs are present I would see if you can just snap it back into place. Might have to release the wheel well liner so you can push that side grille back from the inside of the bumper cover ... ? I took it to the dealership because the car needed to be raised and have the protective plastics removed, told them it needed to be just clipped back on. They tried, but the two pieces (the other side was falling) were too damaged and could not stay. I ended up paying $107 dlls for the two plastic parts, AND $165 for labor. Anyways, thanks for replying guys. How do I remove plastic panels around center console?